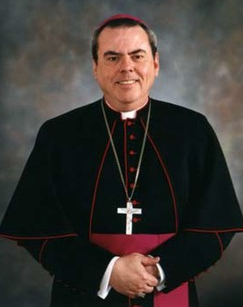 Bishop Michael John Sheridan was born in 1945 in St. Louis, Mo., the older of two children of Bernice and John Sheridan. He grew up in the suburb of Jennings, where he attended Corpus Christi Catholic School from 1951-59. He graduated from St. Louis University High School in St. Louis in 1963. After attending Rockhurst College in Kansas City, Mo., for one year, Bishop Sheridan entered Cardinal Glennon College Seminary in St. Louis. He graduated in 1967 with a Bachelor of Arts degree in Philosophy. From there, he entered Kenrick Seminary in St. Louis. He was ordained to the priesthood by Cardinal John J. Carberry in 1971, having earned a Master of Divinity degree. Bishop Sheridan served the Archdiocese of St. Louis as an associate pastor in several parishes before being named pastor of Christ the King Parish in University City, Mo. in 1988. 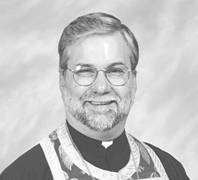 He served as pastor of Immacolata Parish in Richmond Heights, Mo., from 1993 until 1997. St. Louis Archbishop Justin Rigali ordained Bishop Sheridan as an auxiliary bishop of the archdiocese on Sept. 3, 1997. On Dec. 4, 2001, Pope John Paul II appointed Bishop Sheridan coadjutor bishop of the Diocese of Colorado Springs. Bishop Sheridan was formally welcomed to the diocese on January 30, 2002. He became the diocesan bishop on January 30, 2003. Fr. Leo Patalinghug is a priest member of a community of consecrated life, Voluntas Dei (Latin phrase that means ‘The Will of God’). This community is a Secular Institute of Pontifical Rite. 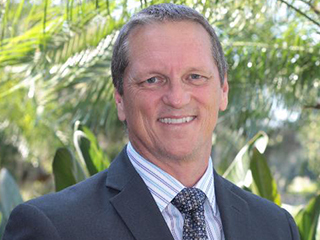 He is the Founder, Host, and Director of Grace Before Meals, an international apostolate to help strengthen families and relationship through God’s gift of a family meal. He is also establishing a non-profit organization called “The Table Foundation” with the mission to elevate culture and family life, one meal at a time. Along with his priestly duties, Fr. Leo is the host for the TV Show Savoring our Faith on EWTN, Co-Host for the radio show Entertaining Truth on Sirius XM Radio, bestselling author, contributor for newspaper and magazines, and rated as one of the best speakers for the New Evangelization. Fr. 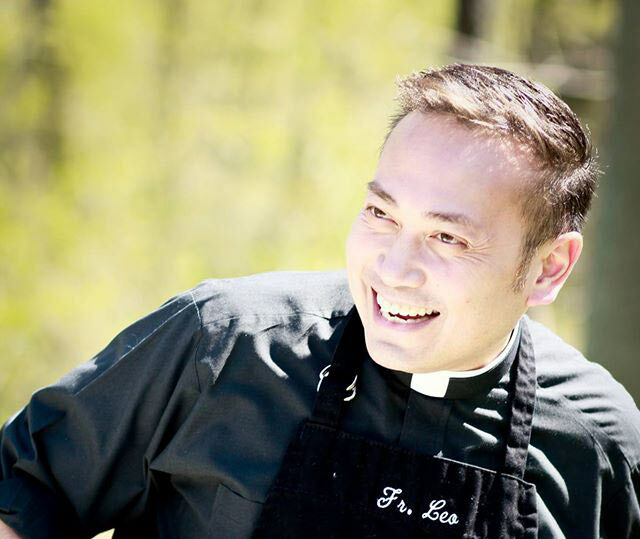 Leo has been featured on ABC, CBS, NBC, PBS, EWTN, and even the Food Network, where Fr. Leo defeated a world famous chef in a cooking competition called, “Throw Down! with Bobby Flay.” His message combines faithful Catholic theology presented in a way that everyone can understand and appreciate. Using his unique background as a chef, a 3rd degree Black Belt Martial Arts Teacher, and former award winning choreographer for a break dancing group, Fr. Leo’s presentations, retreats, parish missions, and keynote talks have brought diverse audiences closer to the Lord’s Table. Fr. Ed Cimbala is a native son of St. Mary of the Assumption Byzantine Catholic Church in Trenton, NJ where he was pastor before becoming pastor of St. Mary’s in Hillsborough. He was born in Trenton and graduated from St. Mary’s School. He attended St. Anthony High School and received his bachelor’s degree in Speech and Theatre with concentrations in marketing and communications from Glassboro State College. Fr. Cimbala was ordained to the Holy Priesthood by Bishop Michael J. Dudick.. Fr. Ed earned a Doctor of Ministry Degree from Pittsburgh Theological Seminary in 1996. The basis of his dissertation was the shared responsibility of parishioners to call forth vocations from their own communities. Gus grew up in the Catholic faith. As a kid, his family was like a cross between the Brady Bunch (3 boys and 3 girls…Gus is Greg Brady) and the Partridge Family (very musical). They used to have a family choir which sang at their local parish, Mary, Help of Christians in Fairborn, OH. He went to Catholic school, was an altar boy and did all the stuff that Catholic kids do. Gus got his first radio gig in 1979 at WFIV, a small country AM station in Kissimmee, FL. Shortly after that, he moved back to Ohio to wed Michelle in 1980. From there he did the radio gypsy thing…moving from market to market to get better gigs and more money. Shortly after the birth of their first daughter, the couple decided to move to Florida to start a family business, Lloyd’s of Lawndom. In 1992, after the death of his youngest brother, Gus was called back into radio. WBVM, the Catholic station in Tampa, FL asked if Gus would do a Friday contemporary Christian music show. Before long, they asked if he would host their morning show, and Gus agreed. After 3 years of hosting the morning show, Gus left to become a Sales Manager with a computer training company. But after 10 month and many calls asking that they bring Gus back, WBVM asked Gus to come back and start out their new format, Spirit FM. Gus was the popular morning show host at Spirit FM for another 9 years. In the summer of 2006, the Archdiocese of New York called to talk with Gus about hosting the morning show on the new Catholic Channel on Sirius Satellite Radio. He went on the air December 4, 2006. You can listen to Gus on Seize the Day, weekday mornings on Sirius XM 129.